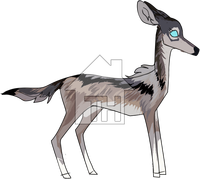 Species Whitetail doe, timber wolf. "...sounds like something that I used to feel." Soft, but not scared. From little up her life has never come as easy as others may think it had. Grew up in a rough environment and where as for the most part she had her older siblings looking after her, she still had to learn to fend for herself at times. Used to being put in situations that would normally cause others to cower and where she is submissive by default, she never fears the outcome. At times feels she's indestructable, if only for the fact she can be brought back no matter the circumstances by her eldest brother. Shy, but not timid. Mostly noted as a soft spoken individual when you first meet her, but isn't necessarily labeled as an introvert. 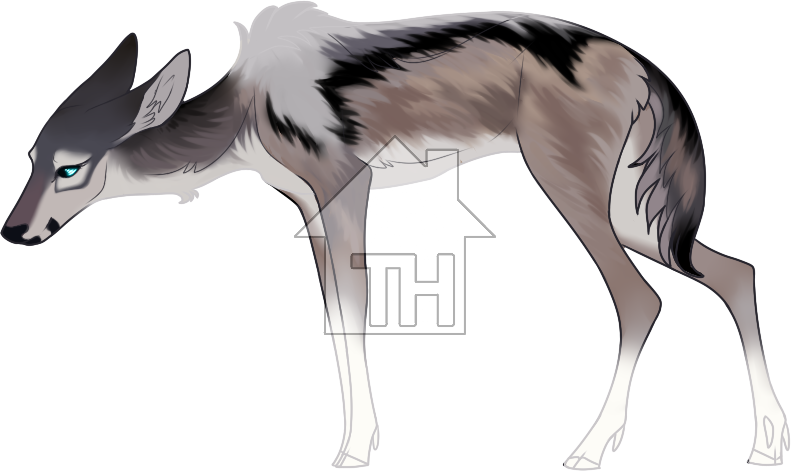 Naturally has an out going personality (though definitely more toned down compared to her brothers) and doesn't always fully come out until she's more comfortable around someone. That being said, still enjoys the company of strangers and getting to know others. Doesn't do well with flirting of any kind; gets easily flustered. Caaaan however have her playfullness borderline (if not full on mistaken) be taken for flirting, in which case then she's confident in it. But anything too forward throws her off. Empathetic, but not free of judgement. Likes to understand those around her and why they feel a certain way. Tries not to cast a permanent judgement upon first meeting, but definitely does quietly label others to herself. This being said, can be known to hold onto grudges even if she may not make it known to the individual. Attempts to stay friendly towards everyone she meets, but sometimes pushes certain individuals away because of her quietly judgemental attitude; especially those who's morals are skewed differently than hers. For example, highly judgemental of those who use drugs or cigerettes. Doesn't voice it but definitely goes more quiet when the subject arises. Born into a poor household, growing up in a cramped, falling-apart-apartment in the bronx with her three older brothers and mother. Raised primarily by her older brothers as her mother was often on drugs or disinterested in what the kids were doing. Growing up was often targeted and attacked - emotionally - by her mother, solely for the reason that Morrow was the only daughter. Attempted to avoid her mother at all costs, especially the more she aged, but often took the brunt of the force in hopes their mother would then leave her other siblings alone. Thrived in school despite being a school that most the kids skipped class in. Felt it was an escape and a place where she could get positive adult attention, though didn't get along much with the kids her age. Attempted to hide out of sight and spend her recesses or lunches in the library. Labeled an outsider but for her own actions in doing so; didn't feel comfortable enough to socialize. Suffered from a social anxiety in public settings that she'd later grow out of as she aged. Aware of her eldest brother's involvement in gang activity, especially as she aged. Didn't think much of it since it was so heavily influenced for kids to get involved at a young age for money, and since their mother was jobless, she (Morrow) often turned a blind eye to any illegal activity her brothers did. That was until Nix was murdered in a shootout. Rattled her world, especially as Bronx 'stepped up' to the plate to fill Nix's shoes. Suddenly grew worried over their situation, despite Daze's attempts to calm her. Couldn't shake the feeling something worse was going to happen to Bronx, and in turn, his disappearance only confirmed her fears. 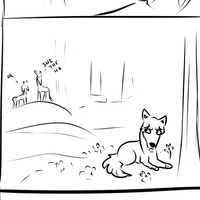 Unaware of Nix and Bronx's lives in the Forest at that time, despite the two brothers keeping an eye on the family from a distance. Soon after Nix's death and Bronx's disappearance, their mother died of an overdose. Another nail in the coffin for Morrow's sanity, but held together because of Daze who - with this opportunity of 'freedom' - moved them away from the city and down south towards Texas. Attempted to be put together for Daze's sake, especially with his self-harming habits, but found herself becoming more and more detached to her life. Falling into drug use like her mother had done so much in front of her, finding it the only way the fully mask the feelings she was going through. Drug use soon evolved into an addiction that she attempted to keep in check, especially around Daze. Knew he was aware of the problem, but tried to play it off as something that wasn't as serious as it was. Not until she was comfortable enough with Daze's life, watching as he pursued his education and got a stable job and soon enough his life seemed put together. And with that, felt a twisted warmth grow inside her that she could finally seek her own peace by means of an overdose. 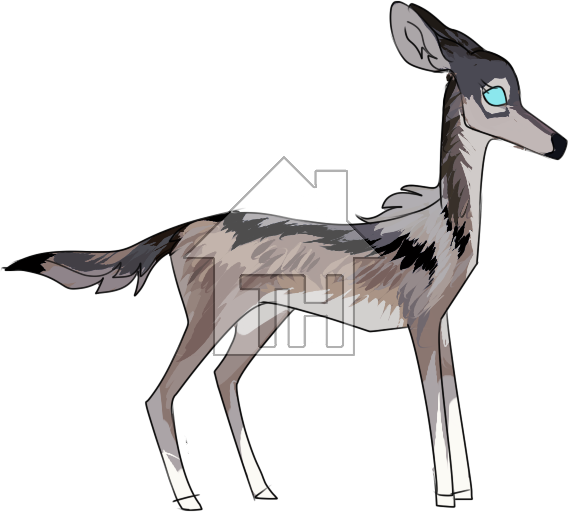 Died at the age of 19, but soon revived afterwards by Nix who finally intervened and revealed himself to the family in order to save Morrow. 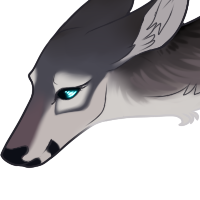 Reborn as Nix's breed, a "wanderer" and therefore stripped of her previous physical addictions with her new body and soul. Still suffers from a mental pull towards her previous bad habits, but no longer feels the need for it physically. Now attempts to piece a new life together for herself, including the modern human realm and Forest. A necklace of a music note from Huginn. A bear skull from Ractera. "I'll compare you to a kiss from a rose." "Tastes so sweet, looks so real, sounds like something that I used to feel." 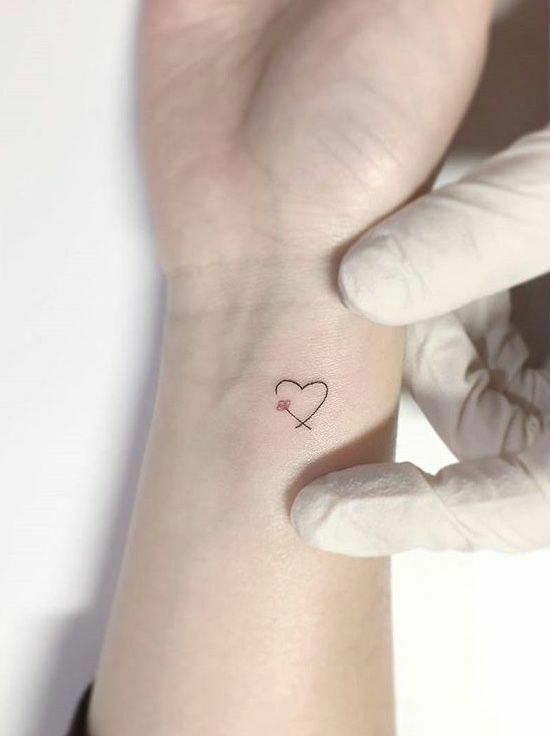 Small tattoo of a heart along her ankle, similar to this. Has three other smaller arts attached to it to represent her brothers. Tattoo along her right side that says "New York" on it, similar to this.